Cetislim (Cetilistat) is provided as 60mg strength capsules for administration orally. The medicine is taken with meals to ensure that it can work while the food is being digested, so that the absorption of fat from the diet can be effectively reduced. Your physician will advise you on how much medicine to take with each dose, as well as the required daily dosage. It is very important that you adhere to these instructions. Do not take more than your physician tells you to take. Patients undergoing treatment for obesity with Cetislim (Cetilistat) could suffer from side effects. You must inform your physician if this happens. Although mild reactions are generally considered to be more common, serious adverse events may also occur. Consult your physician immediately should this occur. 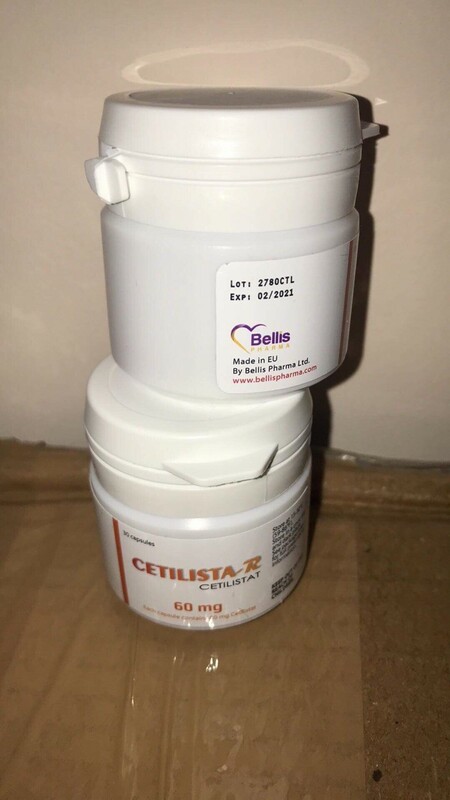 Although Cetislim (Cetilistat) can help overweight patients lose weight and therefore reduce the risk of diabetes or other serious conditions associated with obesity, you will also be advised by your physician to eat a low calorie diet and to exercise regularly. Taking this drug in combination with foods that are high in fat will result in the patient experiencing worse side effects.